As a fire chaplain, I once responded to a call with our department to a house in our community for a non-emergency assistance need. As I stopped by later to follow up with the family, they exclaimed how grateful they were for the much needed help. 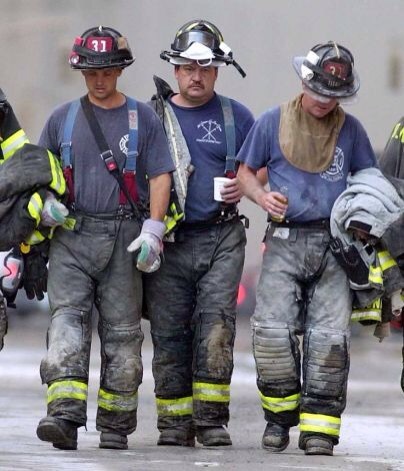 Although they were of very modest means, they wanted to do something to show their appreciation for our firemen. So, with boxes of chocolates and homemade goodies, our guys were blessed by these for doing the job our department was called to do! The Bible speaks of a group of women that Jesus helped, having compassion on and delivering them from demonic issues, possibly possession, and restoring them to a better life. In gratitude, though they were also of modest means, they served Jesus with whatever they had: a bit of money, food preparation, camp cleaning, laundry… They gave of themselves which enabled Jesus and His disciples to focus on the ministry which would impact even more lives. Every bit helped. Like the women that followed Jesus, we all have reasons to be grateful to the Lord. These reasons should compel us naturally to somehow serve Him in return. Don’t look at what you don’t have or can’t do, but start with what you got and who you are! You’re greatest gifts and talents are already in your grasp! It will all make a difference and be appreciated! You are loved today! Be a servant! In the deserts of the southwestern US and Mexico, Gila Woodpeckers use saguaros—giant, tree-like cacti that may reach 43 ft in height and 10 ft in circumference—for food and shelter. In addition to insects, they eat cactus fruits and berries. 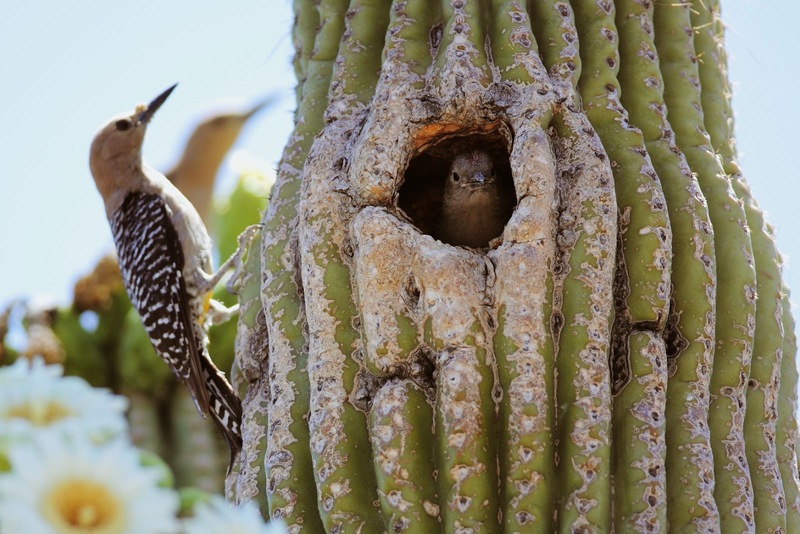 Equipped with a thick bill, the Gila Woodpecker plays an important role in maintaining the health of saguaros by removing insects and trimming damaged tissue, which heals the cacti. It thrives where the rest of its woodland cousins cannot. In this psalm, the writer is speaking of a desolate and distressed time of life. The imagery of a desert is meant to symbolize pain and loss in this life. And yet, we know that in such a destitute place, there is a thriving life. Where one may call the prickly cactus a horrible and useless plant, someone else calls it Home Sweet Home! The difference is simply perception. Does your life seem desolate? Allow God to help shape what you are feeling. You see through the lenses of self’s desires and disappointments, but God sees so much more! Your cactus can become your castle! You are loved today! Pastor Mike’s Minute Message: Hey! This Stuff Changed My Life! We all have things in our lives that we praise enthusiastically. From makes of cars to types of foods to brands of toilet paper, some things have made a marked difference in our quality of life. But when Jesus changes a life, redeeming them from life’s losses and establishing an eternal prize, THAT should receive our highest praise! As you go about your day, take time to simply tell God “Thank you!” for saving your life. Then make it an everyday practice to simply declare to others how great God is. He’s the best thing you’ve got! You are loved today! Job demonstrates the escape from the jail of self-righteousness. 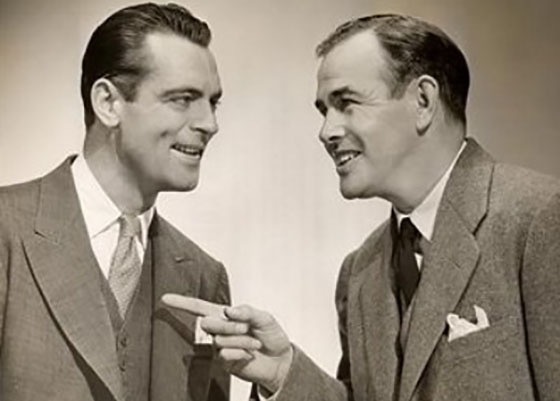 Instead of judging the leaders of his land that were less righteous than he, instead of despising the friends that hurt him wrongly, he instead allowed God to show him his own faults and bring personal revelation: We Are No Better Than They. He repents of presumption, adopts grace toward others, and allows God to keep him truly righteous. When we forgive out of the shame of our arrogance and in the joy of being truly forgiven ourselves, we sever the root of self-righteousness. You are only good because of God! Be free and sweet through grace! You are loved! “Susan” was an incredible woman. She had already outlived two husbands and one of her children. She had every reason to give up in her late season of life. Yet, every Sunday, she was in my church, worshipping with a smile and participating in what activities she could. The joy she found in Christ gave her daily strength. In Nehemiah’s day, he was having to teach Israel the very lesson we need to achieve today: Move beyond fleeting happiness to a grounded joy! Israel had been on an emotional rollercoaster of emotions, up one minute and down the next. The high of returning from captivity to the low of tedious rebuilding; the up from having a Deliverer come to rebuild to the down of being threatened with terroristic violence. As they hit another low by hearing how they had failed God through sin, Nehemiah had to help them get past unstable emotions to a place of stability found only through a consistent walk with God. If you are living to find happiness, then you’ll find life to be one continual frustration after another. Susan got it when she found her joy in God and not in emotion. And as God blessed her with another loving man, she found an unexpected 11th hour blessing from the God of her joy! You are loved today! Live on it! It was one of those Mike-is-a-Moron moments that happens WAY too often. My car just wasn’t running well: slow taking off, slowing down quickly when letting off the accelerator, sluggish in every aspect. And every where I went, it smelled like someone was burning a cat! My frustration meter was pinging like a fire alarm! And then I saw it. My emergency brake had been mashed and never released. All I could do was pop the pedal and shake my head. Problem solved. Sometimes we wonder why our life stays off kilter. All the ingredients for good living are there, so why do I seem held back? Usually it’s because of internal problems in us, like a knack for negative thinking, a need for control, or being prone to fall for certain temptations. These issues, whatever they are, prevent us from living optimally and happily. If not dealt with, your life will be filled with nothing but failure and depression. Are there areas of your life in which you repeatedly experience defeat and frustration? Does there seem to be an obstacle or barrier holding you back from the victories you hope to experience? Is it a struggle for you to be productive in certain aspects of your life? Let God give you a much-needed Life Inspection so you can be free. Life’s too short to stay down! Live well! You are loved today! According to Examiner.com, after a trauma occurs, the first few weeks are usually spent in a “fog,” doing all the necessary actions of life in robotic fashion, while the mind is far away. During this time and in the following months, you may begin to notice lapses in memory—not only where you put the keys, but finding the apples in the freezer or the bread on the living room table. In time, you will process things again and become normal once more. Jesus knew the difficulties His followers were about to encounter. He had just finished quite a lengthy discussion with them of last minute teaching. Once He was arrested, He knew they would go into Trauma Mode, and forget a lot of it. So instead, He relied on a continued involvement in their lives after His death. God knows you can only handle so much of life’s downpours. So He gives you what you need to make it through each day. But when things are good, take extra time to absorb His presence. You’ll need it soon enough! You are loved today!